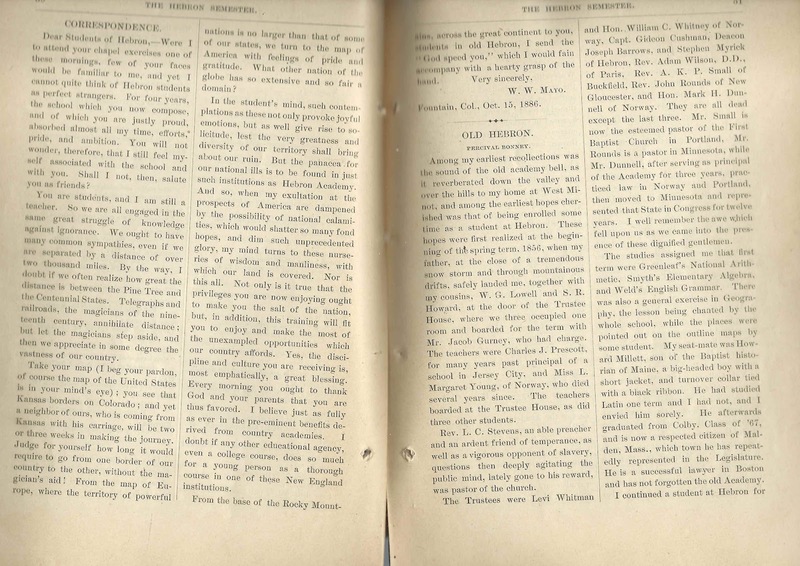 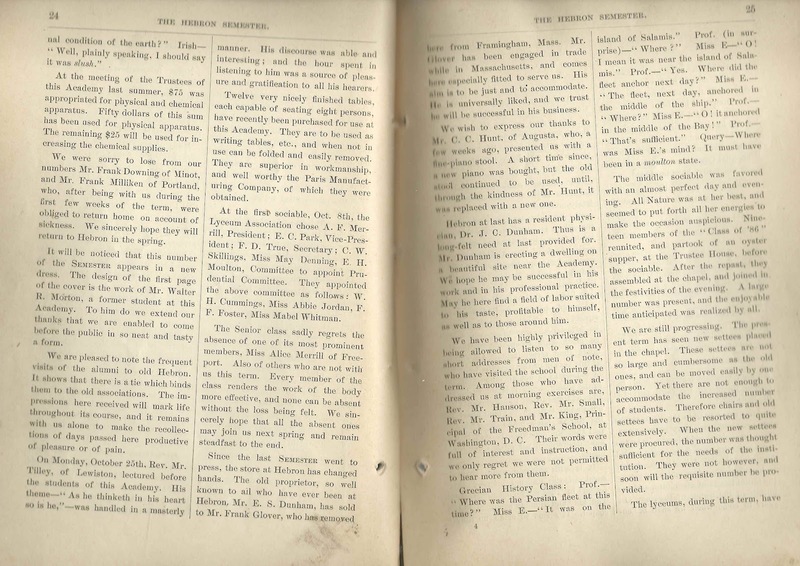 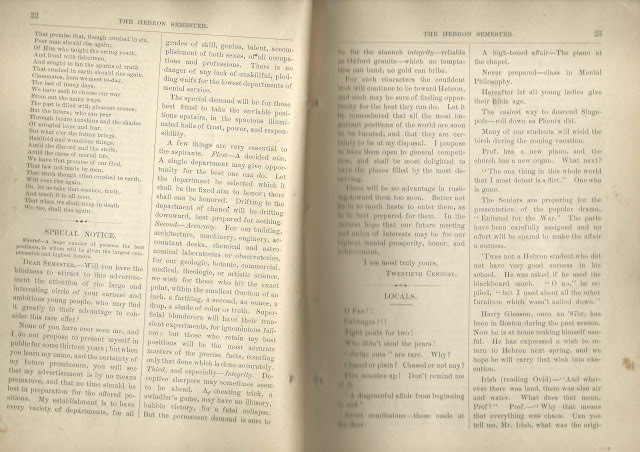 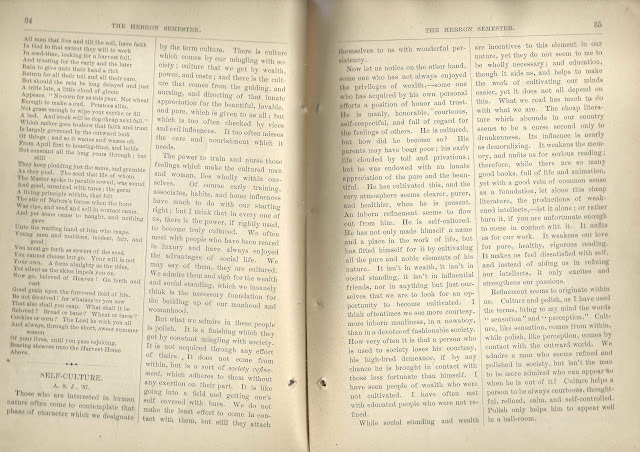 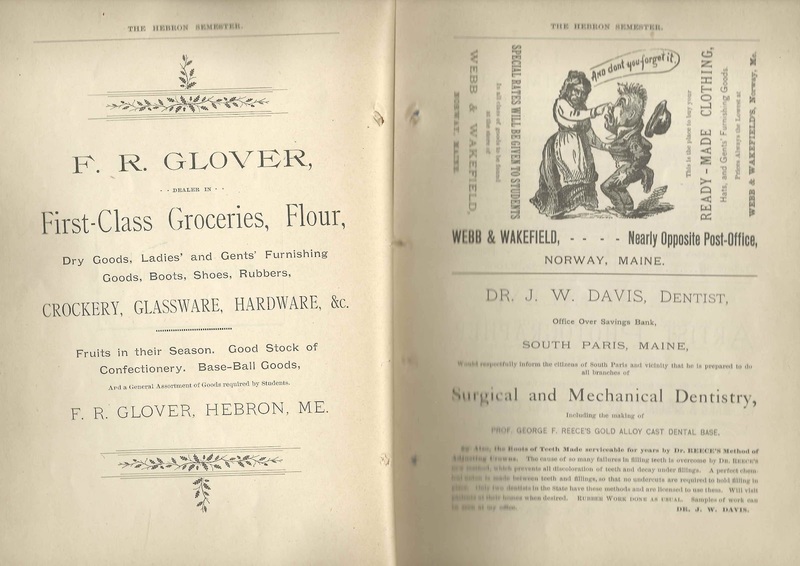 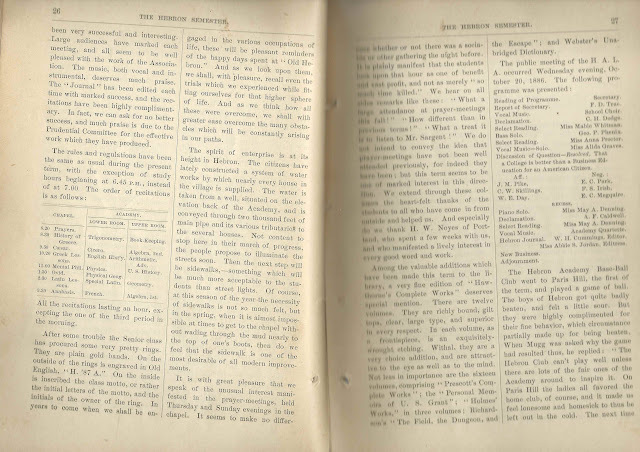 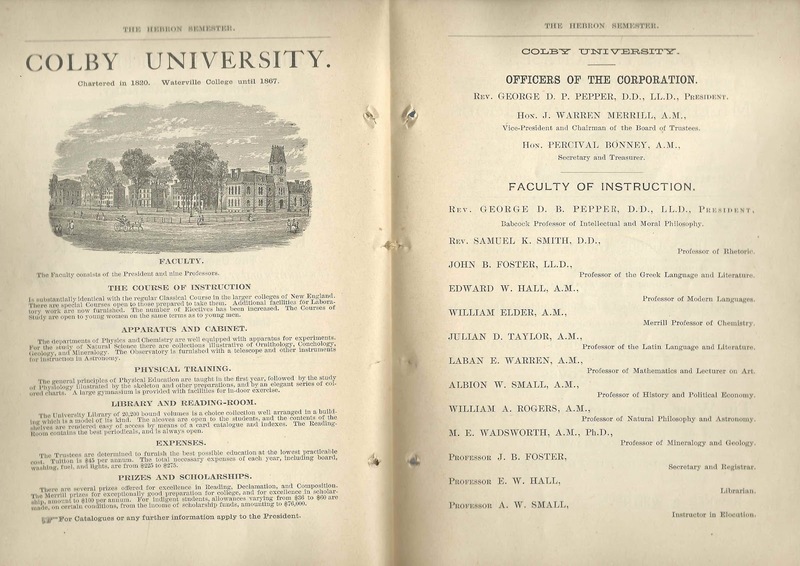 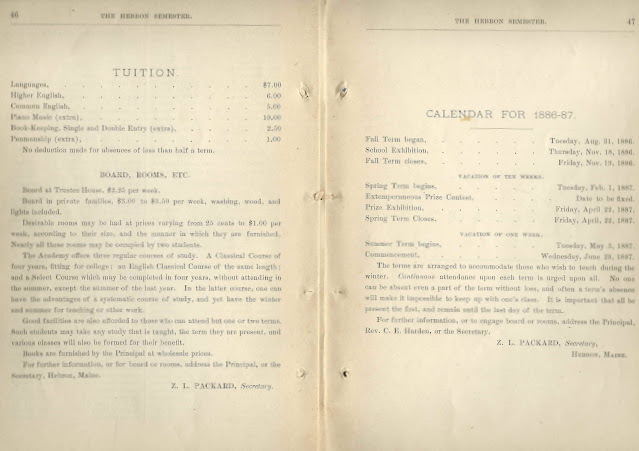 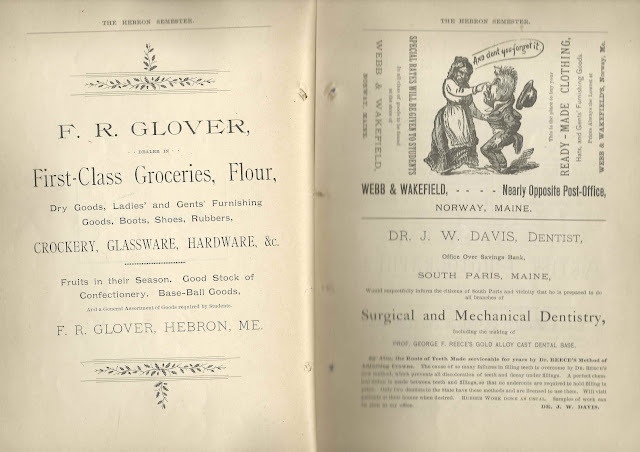 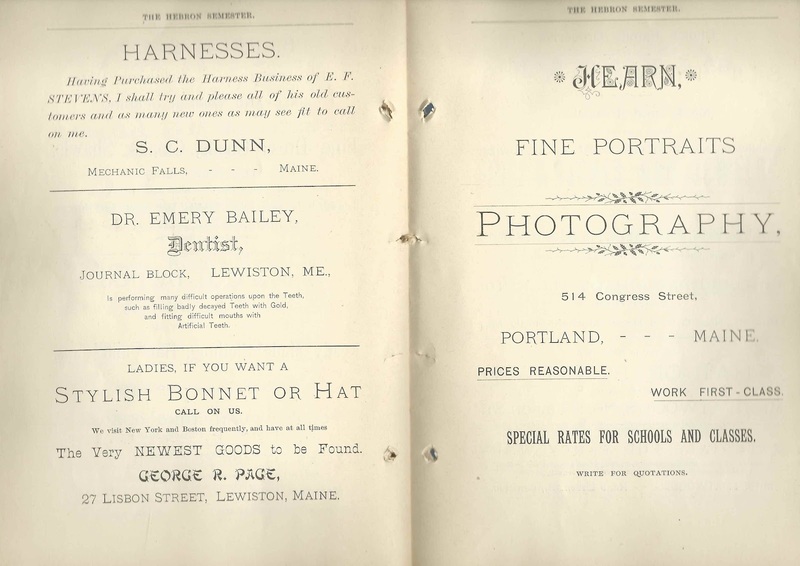 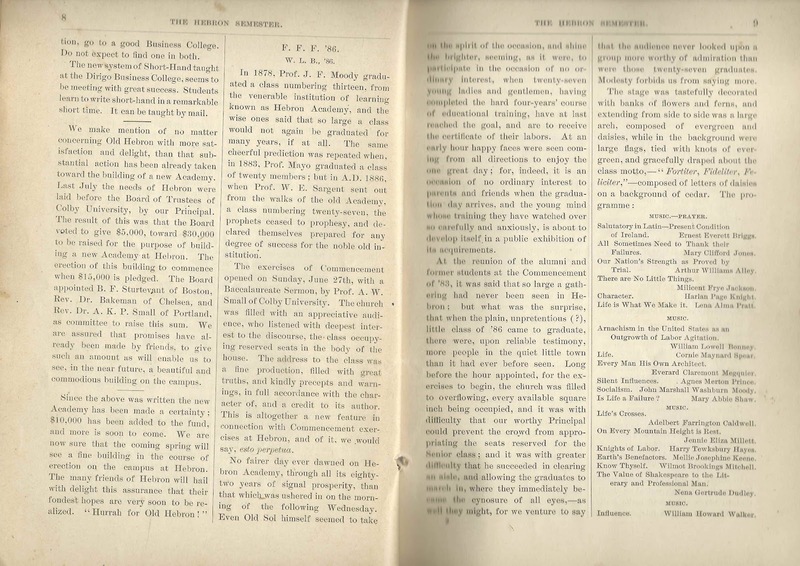 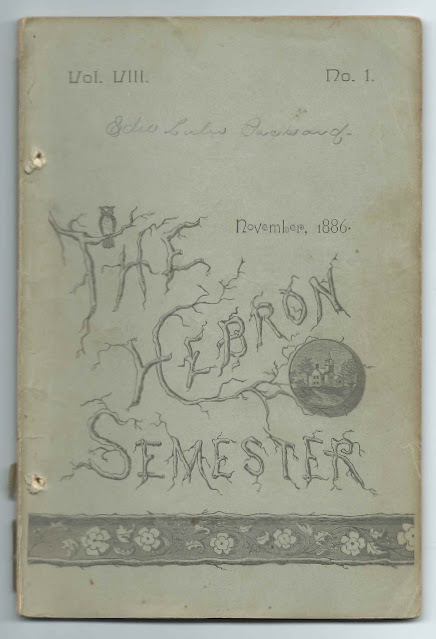 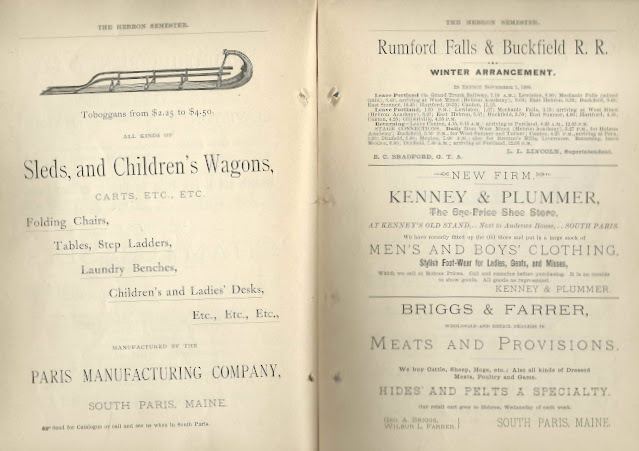 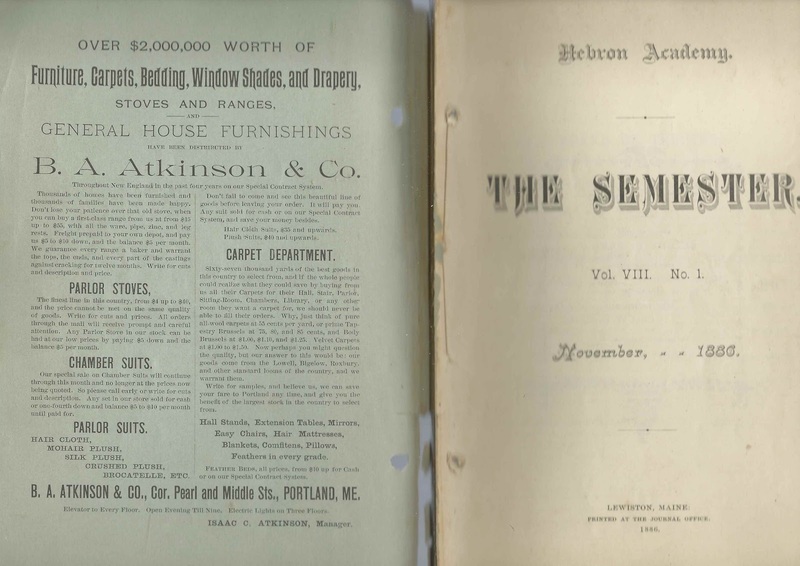 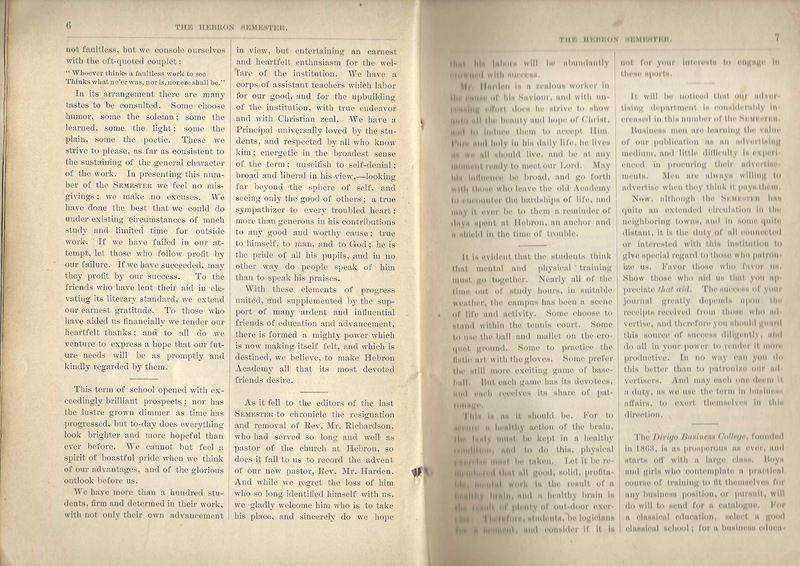 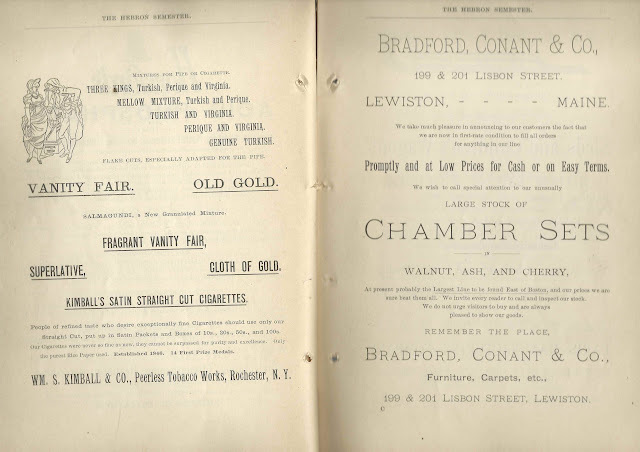 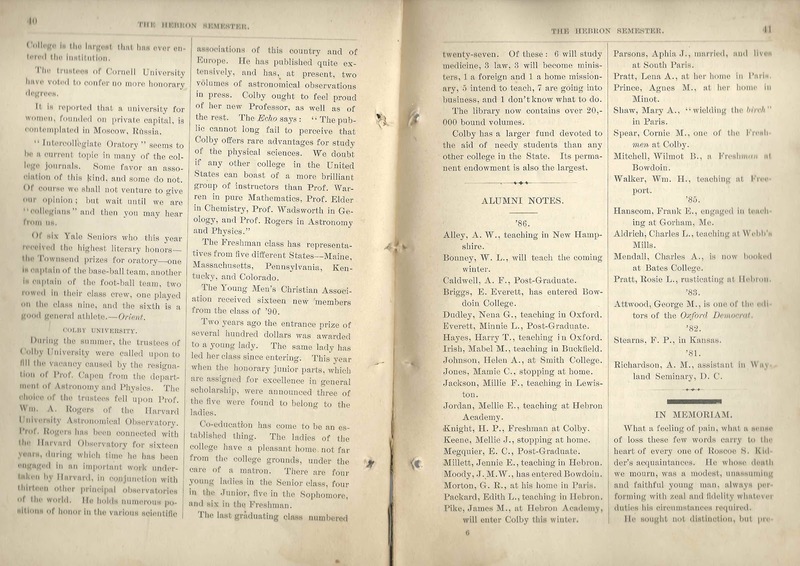 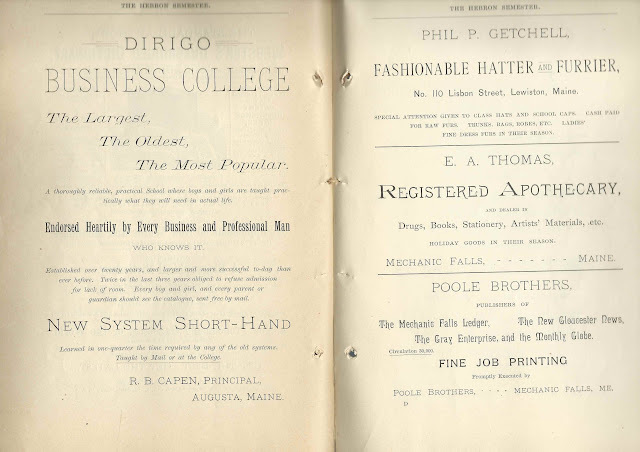 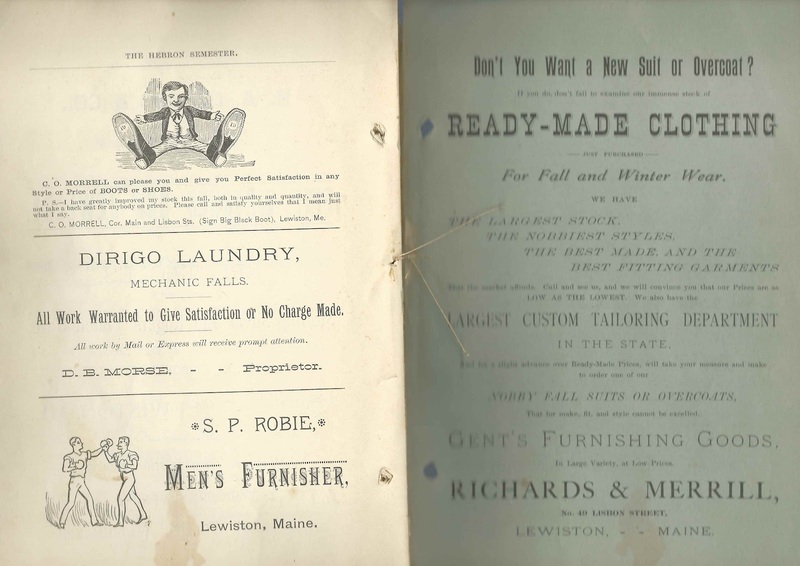 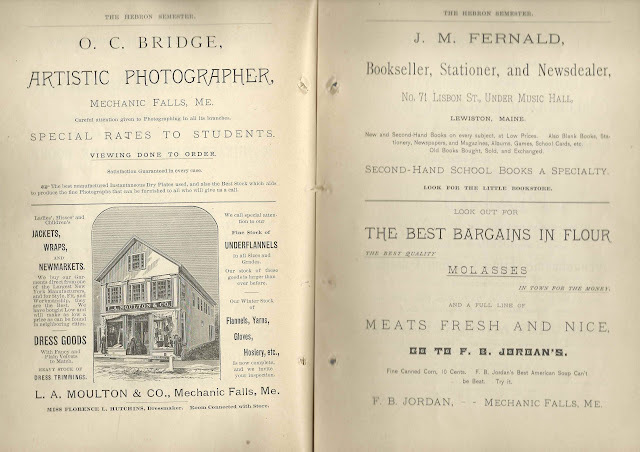 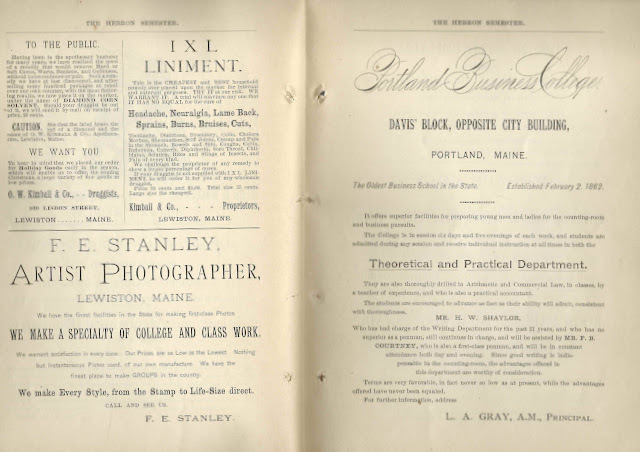 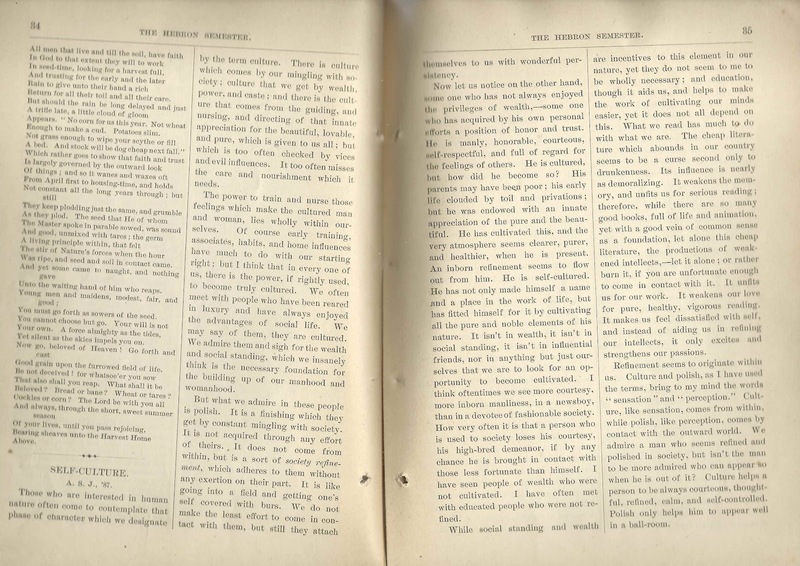 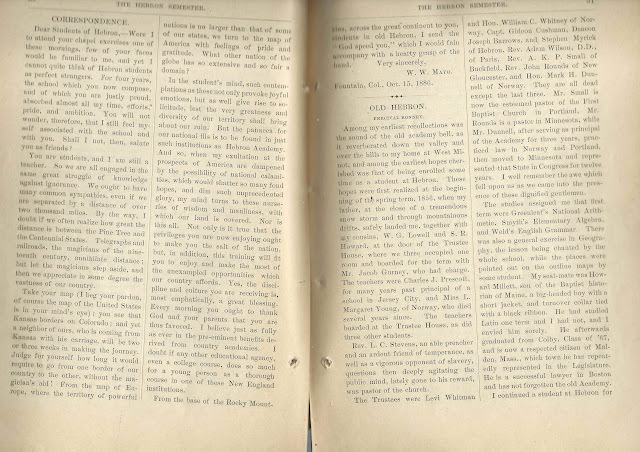 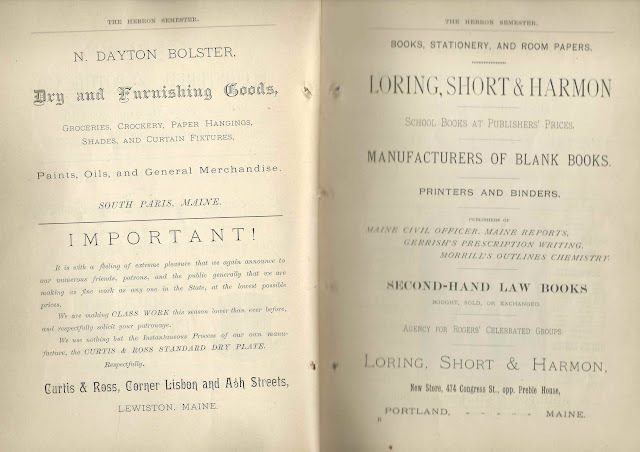 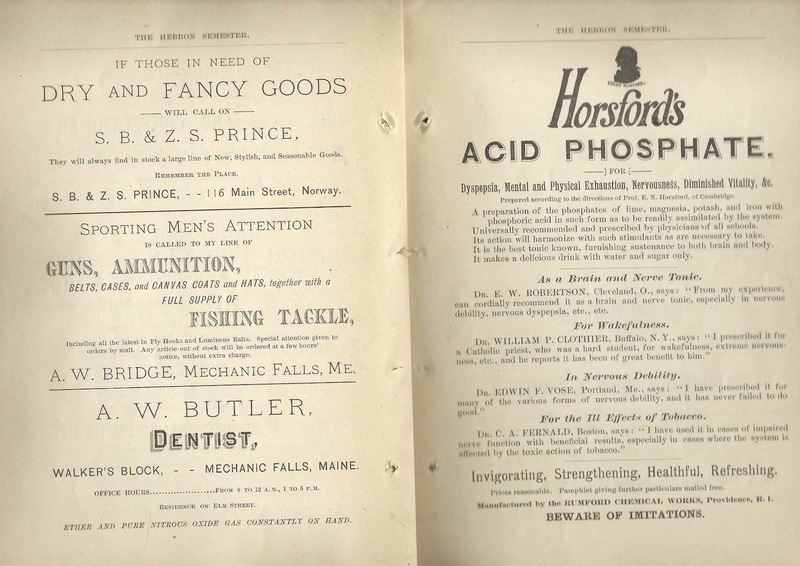 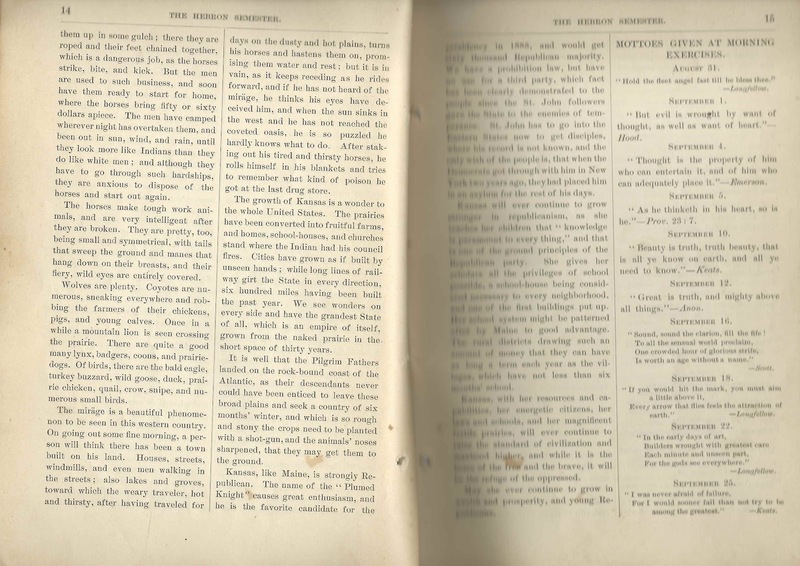 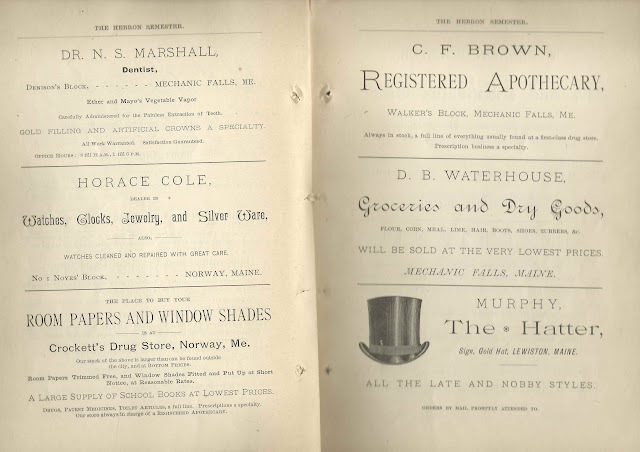 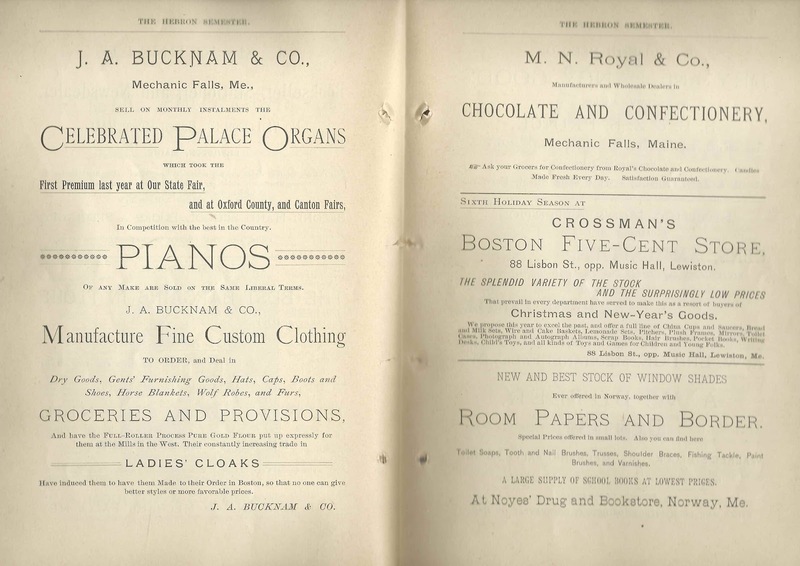 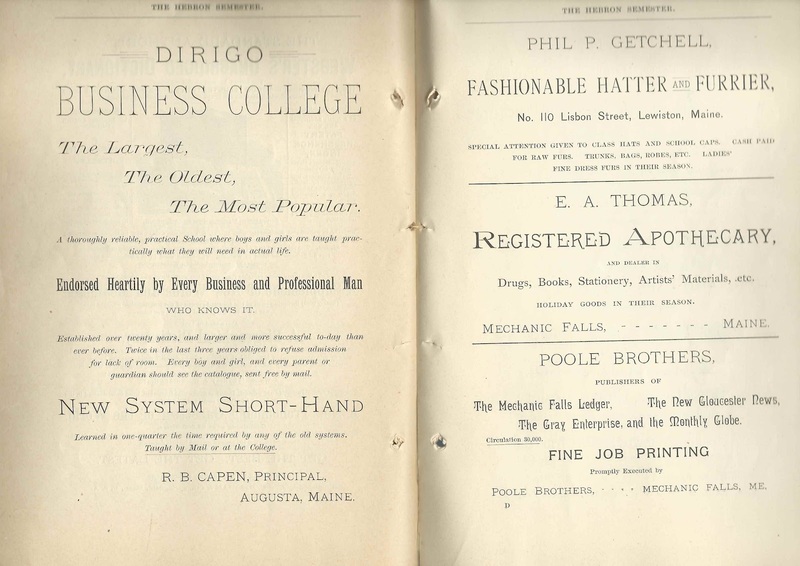 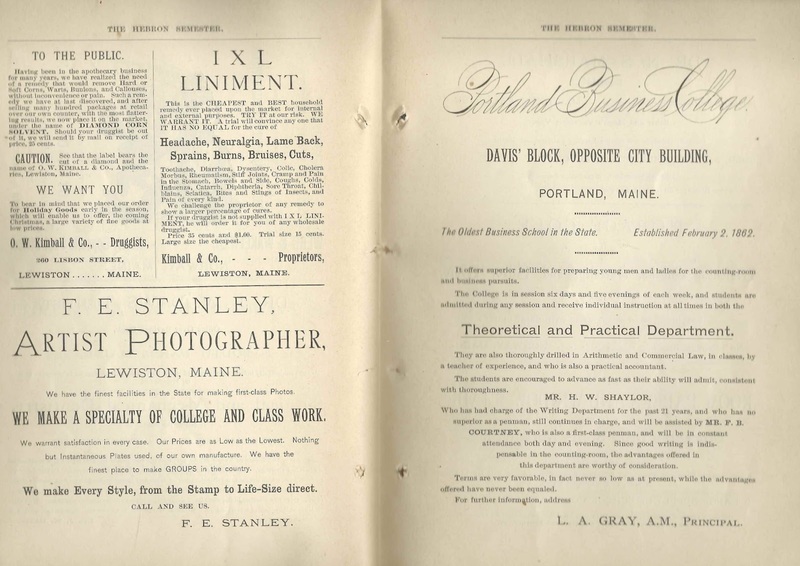 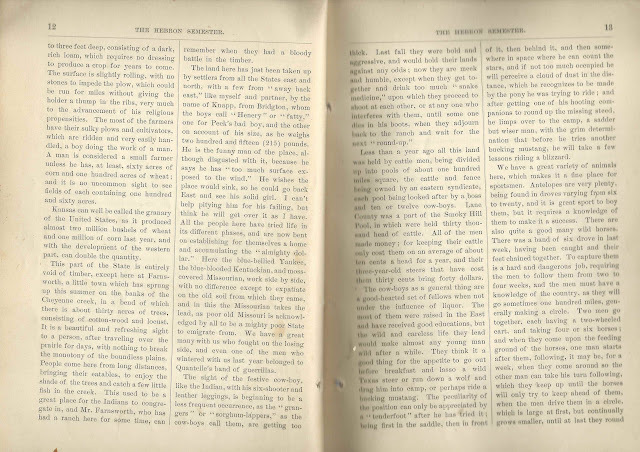 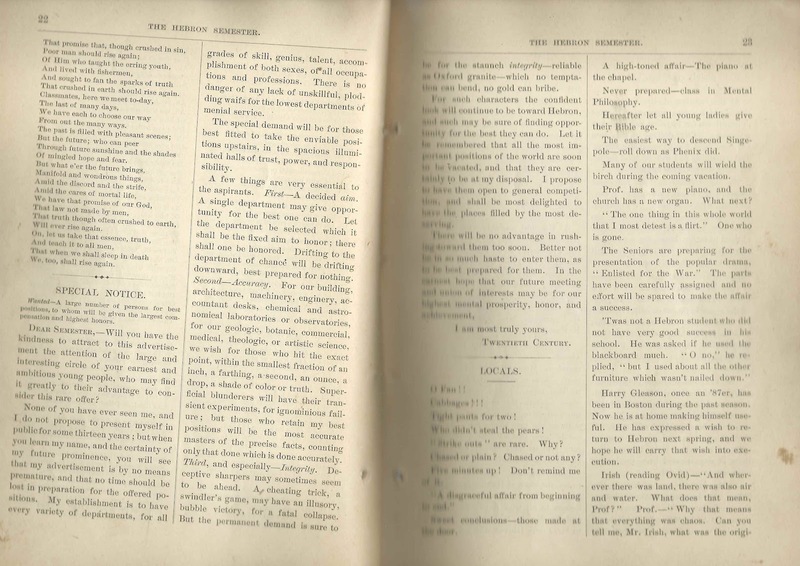 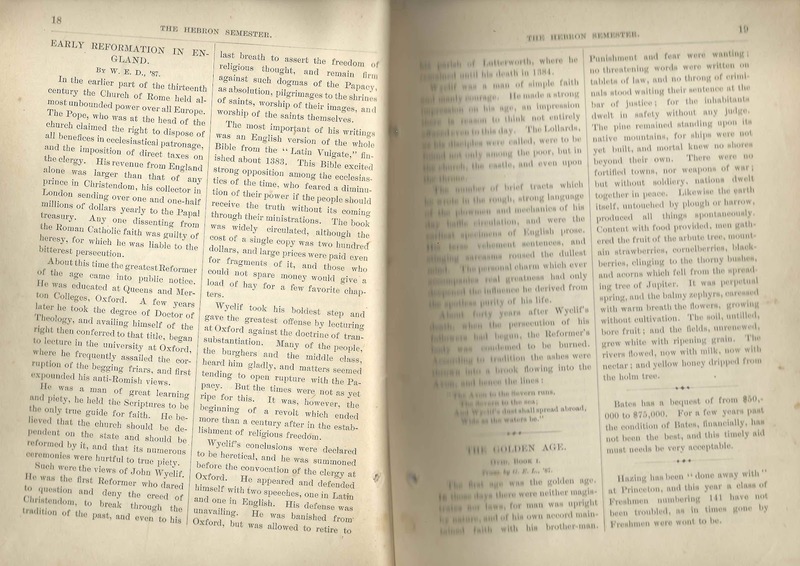 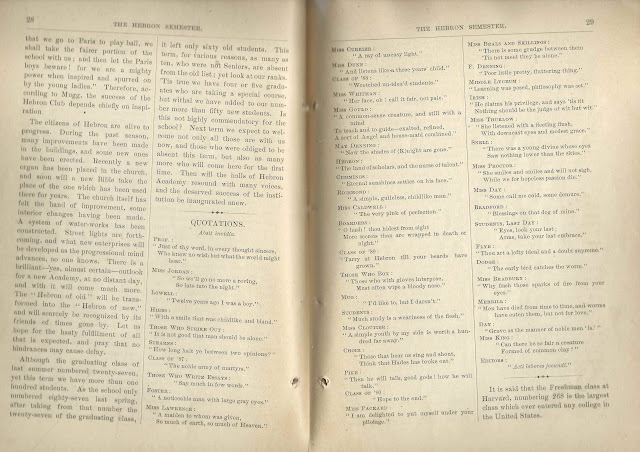 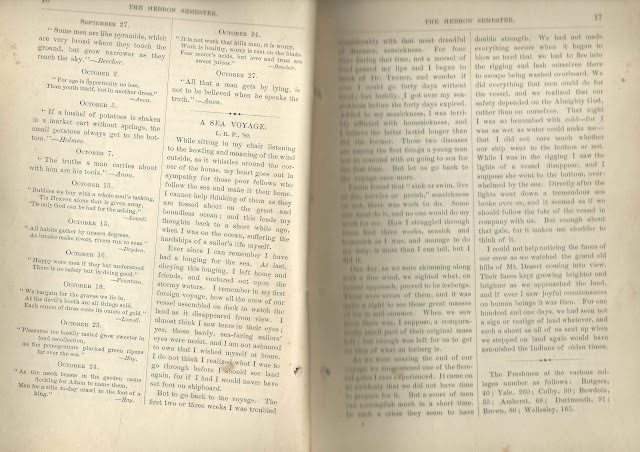 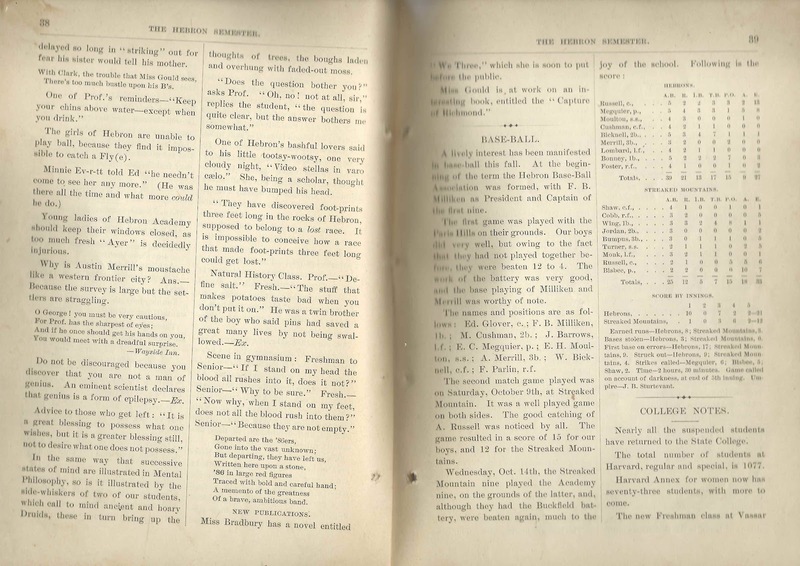 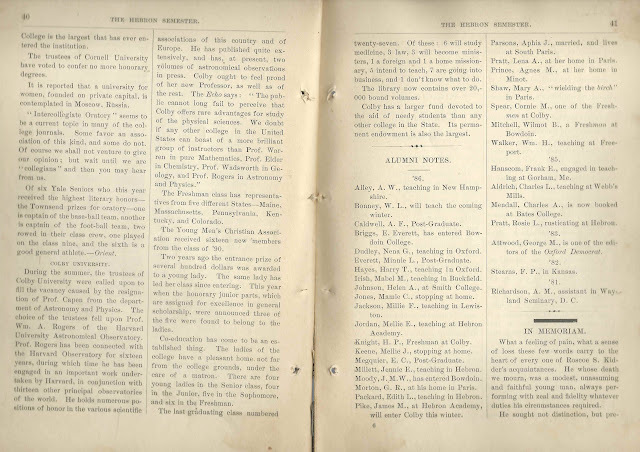 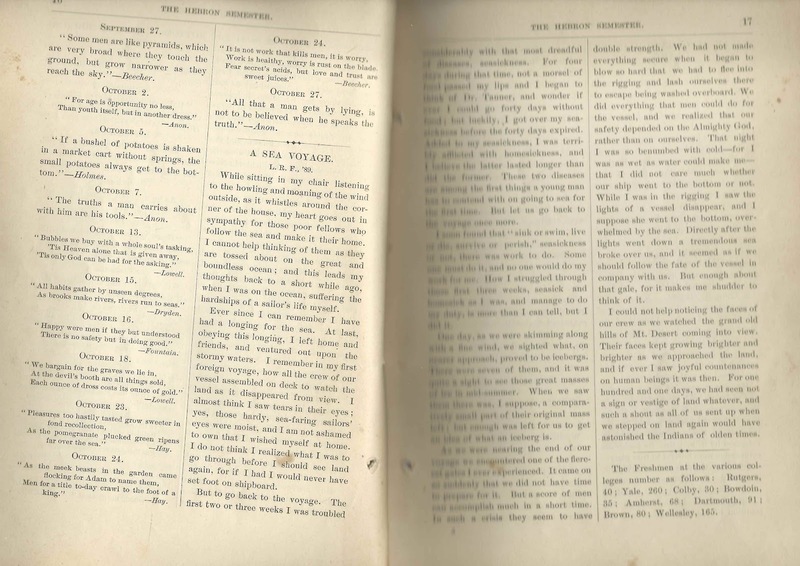 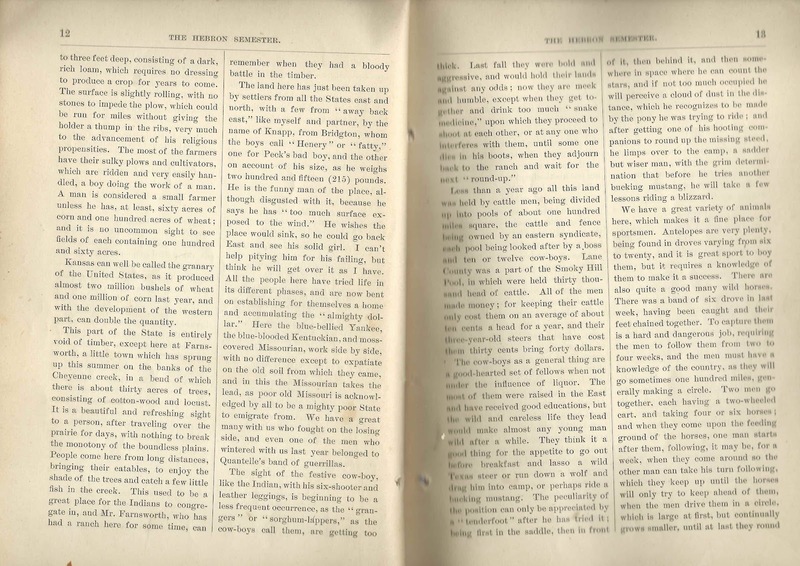 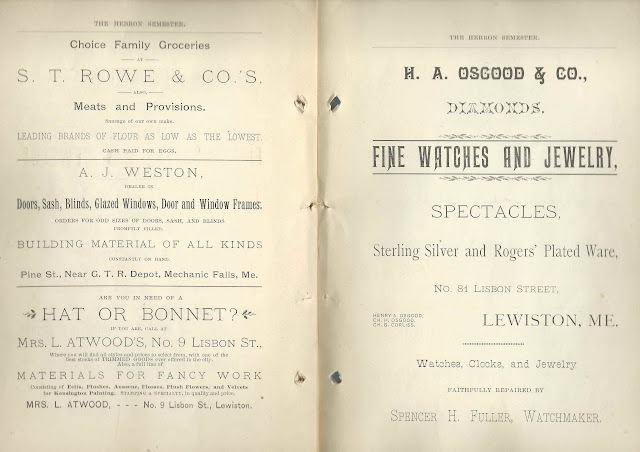 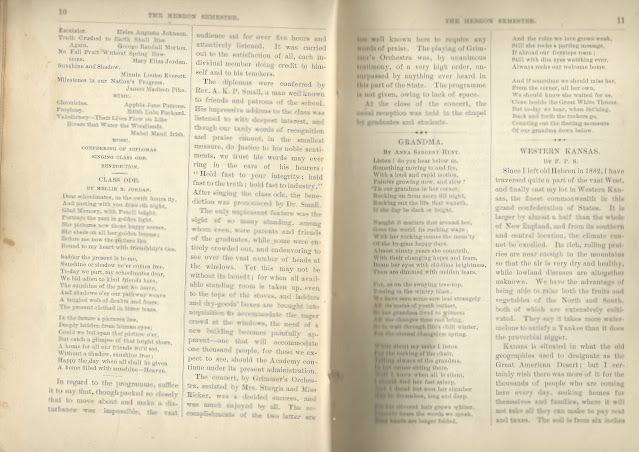 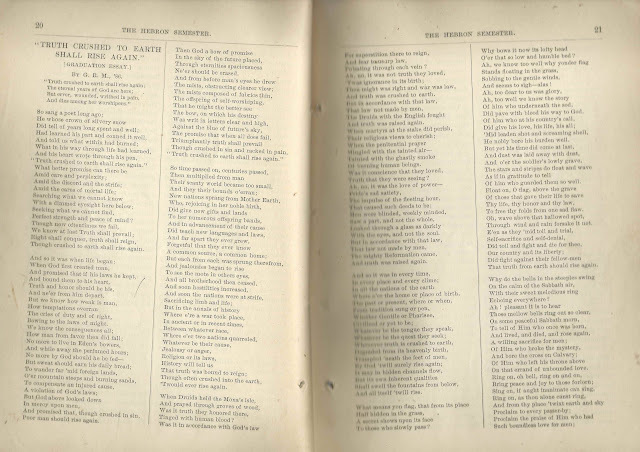 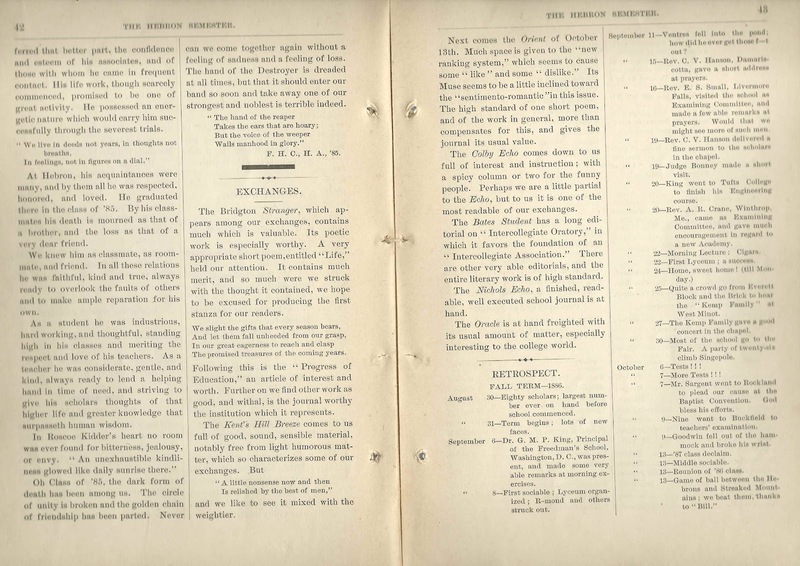 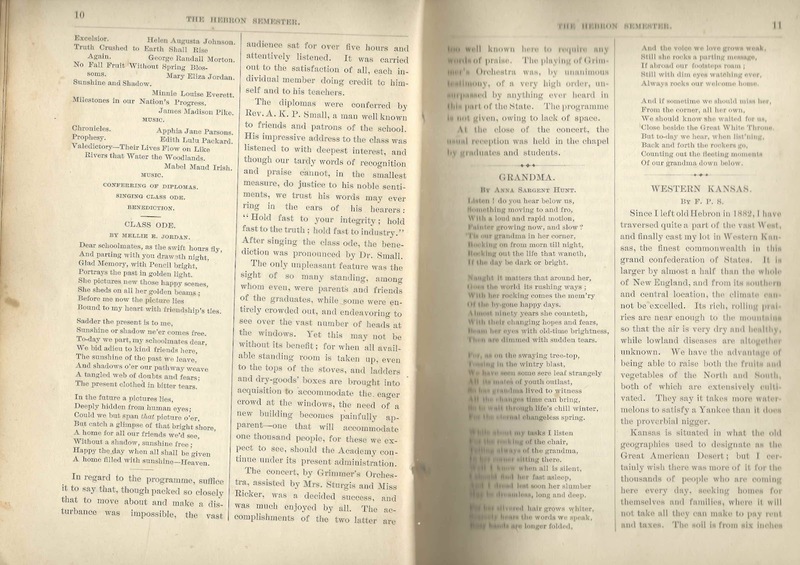 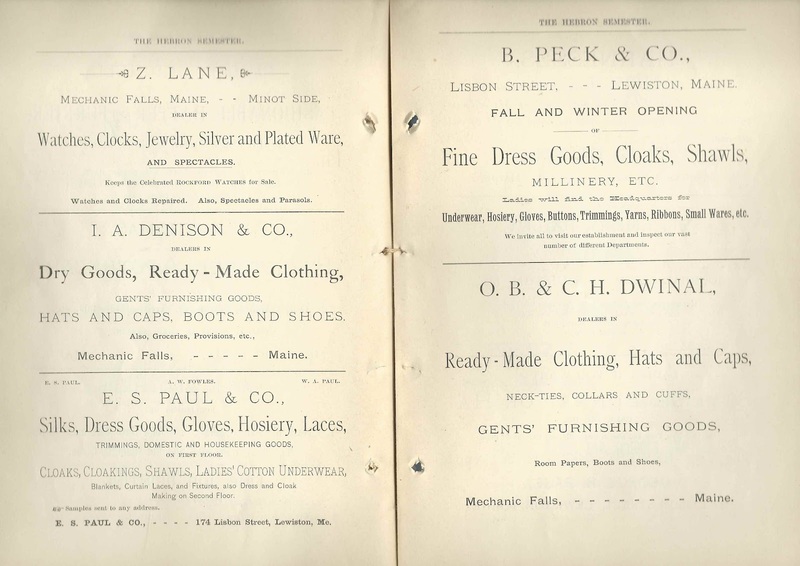 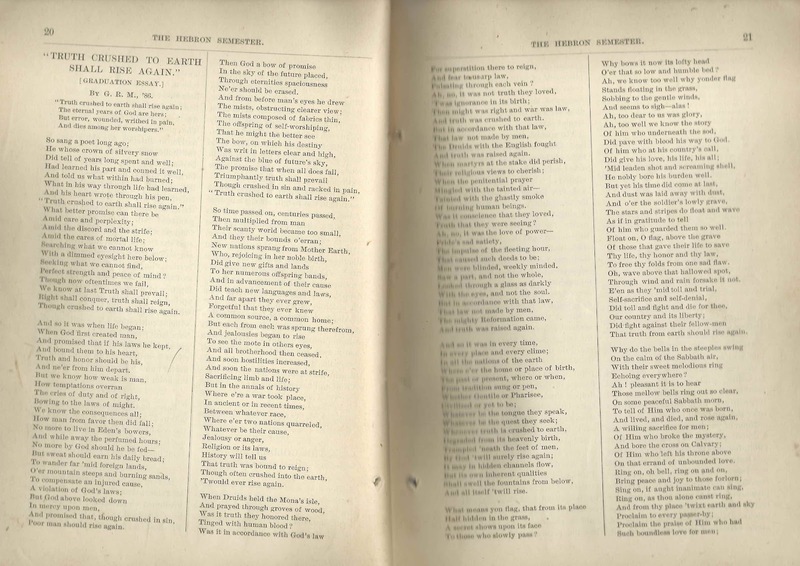 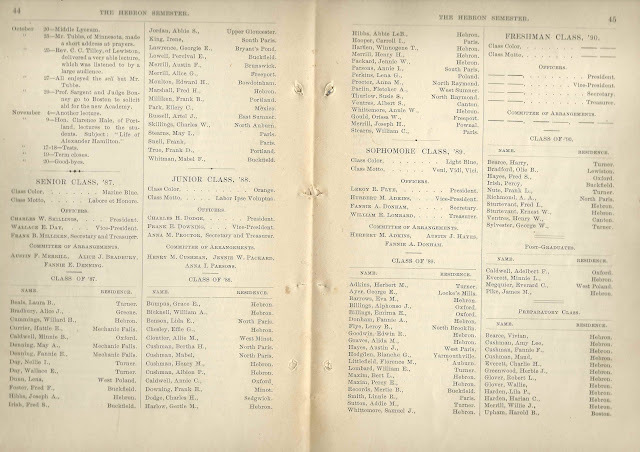 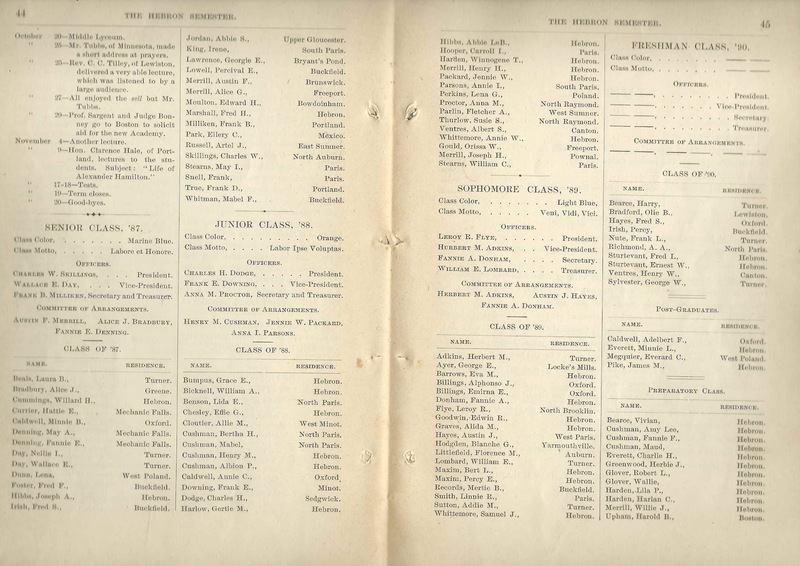 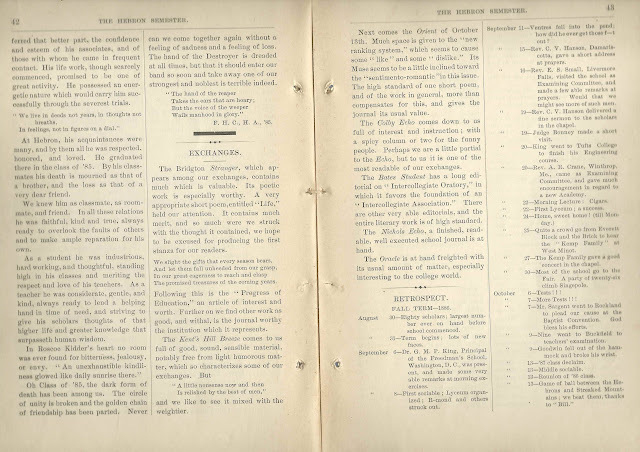 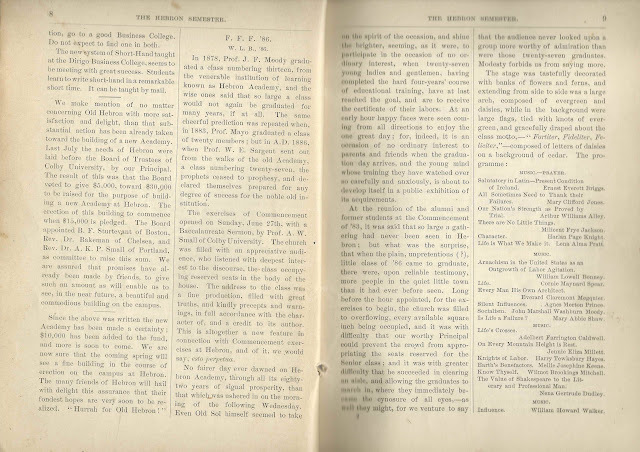 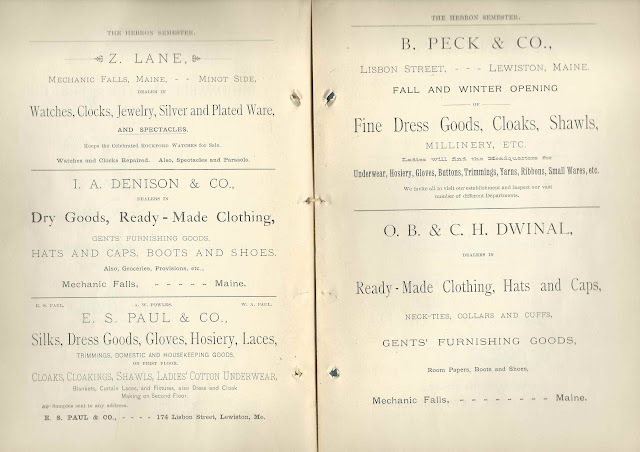 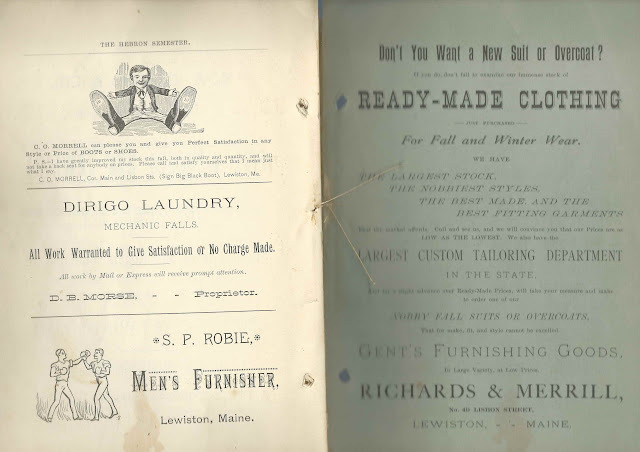 Spring 1885 issue of The Hebron Semester, a student publication at Hebron Academy at Hebron, Maine. 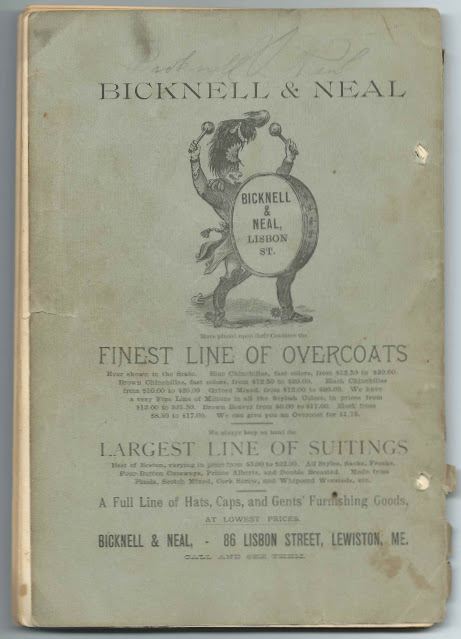 This copy was owned by student Edith Lulu Packard of Hebron, Maine, who wrote her name at the top of the front cover. 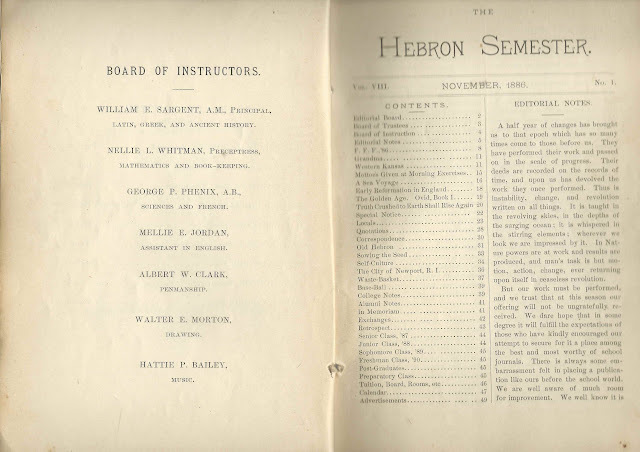 See links to more posts about other issues of The Hebron Semester and other Hebron Academy memorabilia here. 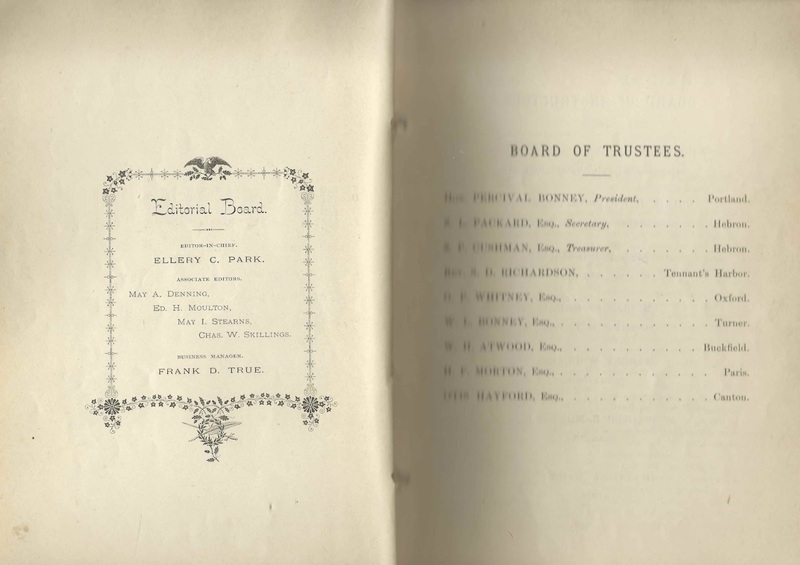 Also, see another post that features the autograph album of Albert Smith Ventres of Canton, Maine, a member of the Hebron Academy Class of 1888; several of his schoolmates, mentioned farther below, inscribed pages in his album. 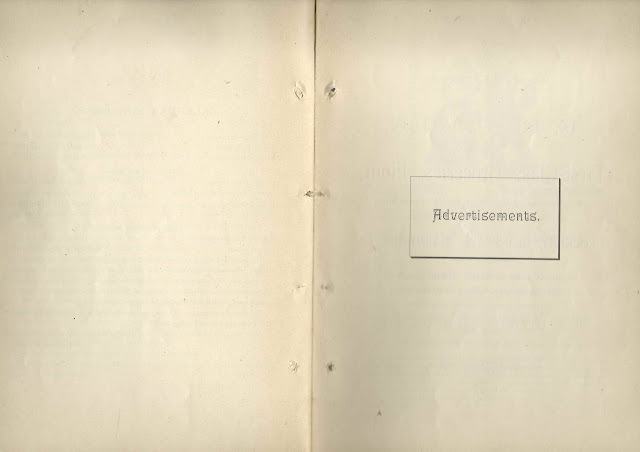 The issue measures approximately 9-1/4" by 6-1/4" and contains 47 pages, plus 31 pages of advertising and advertisements on the inside front cover and inside back cover and back cover. 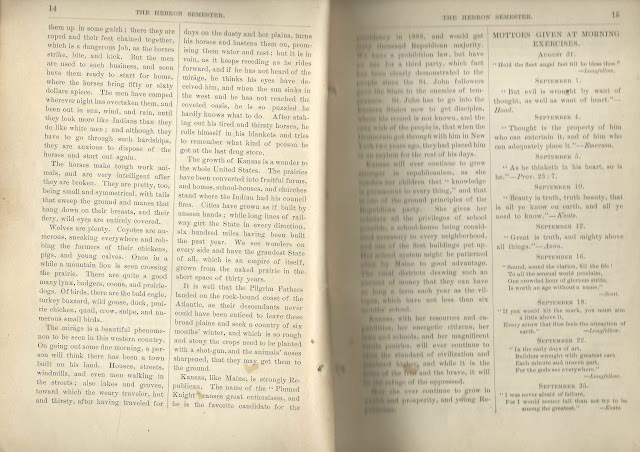 Images of all of the pages appear at the end of this post. 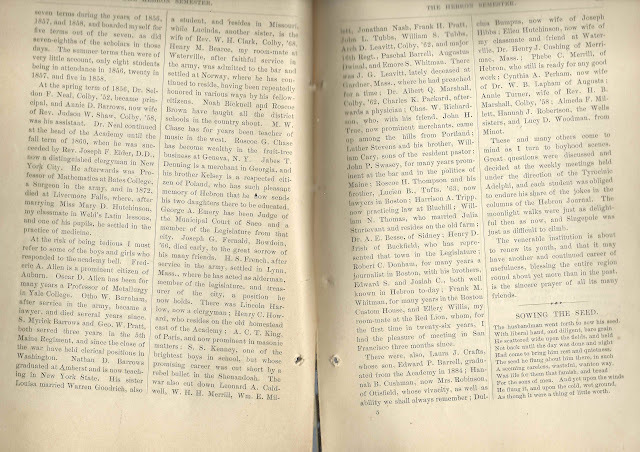 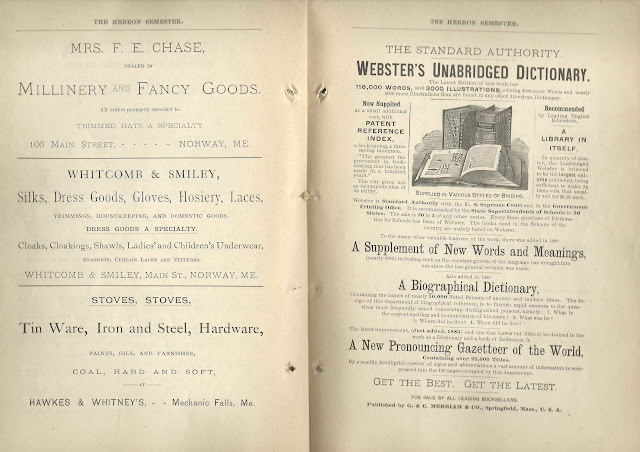 Alphabetical list of the people mentioned in this publication, with additional information about them gleaned throughout the issue, appears later in this post. 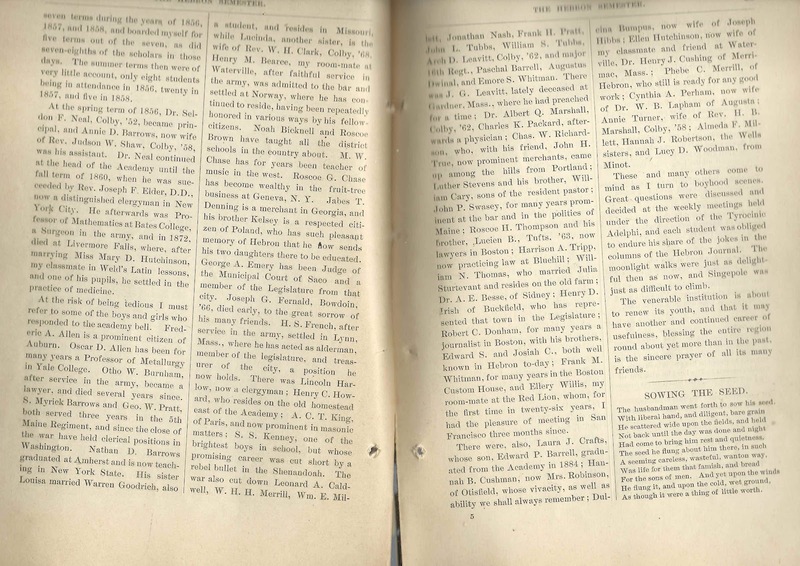 Note: Some of the people mentioned may be the same person. 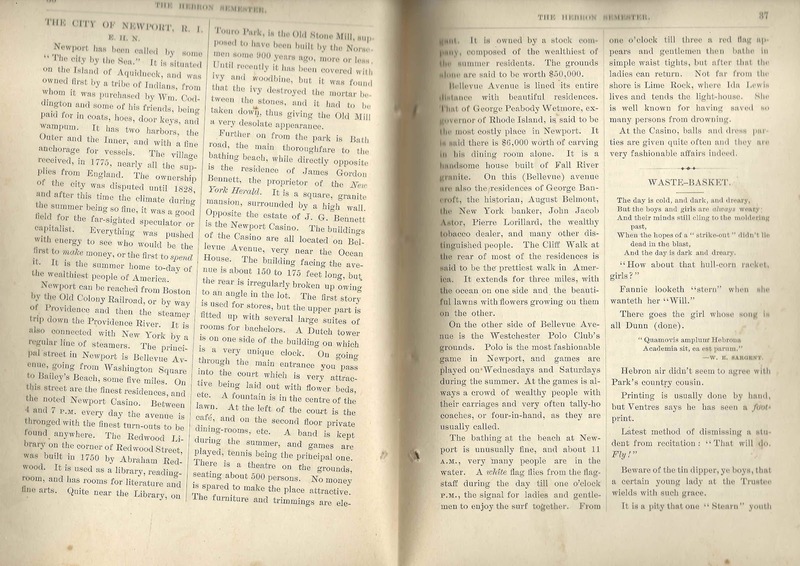 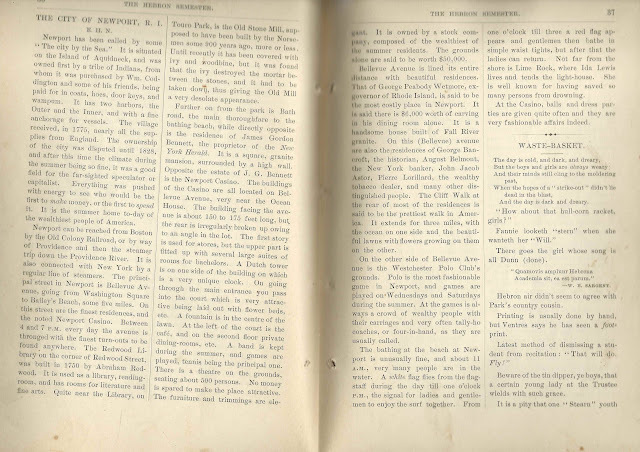 Miss Gould is at work on an interesting book entitled the "Capture of Richmond"